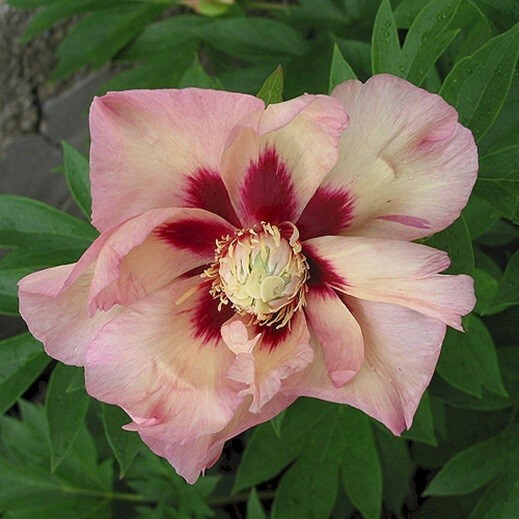 Intersectional Paeonia hybrids, common name Itoh’s are getting more and more popular. 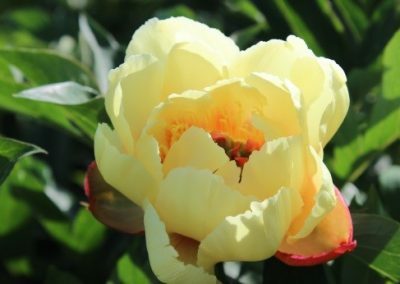 These peonies are produced by crossing herbaceous garden peonies with tree peonies, initially to create herbaceous peonies with pure yellow flowers. (breeder Roger Anderson) A vigorous plant with an abundance of semi-double to double yellow blooms and small red flares that just glow in the afternoon sun. 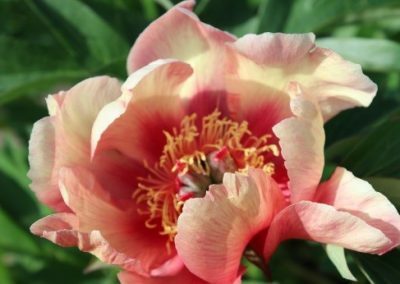 The large, well-formed blossoms carried high above the lush green foliage and make also good cut flowers. 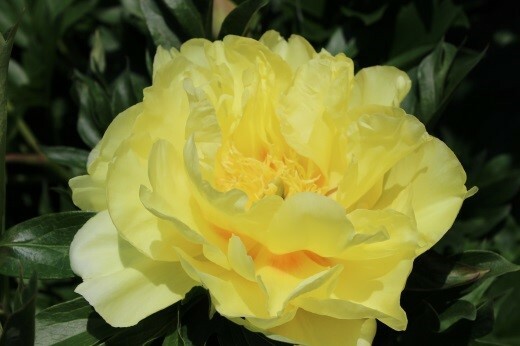 With a lemony fragrance, this is a perennial favourite. 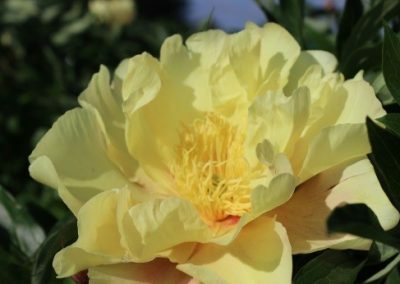 Peony experts often describe Bartzella “as the most perfect yellow peony in the world”. 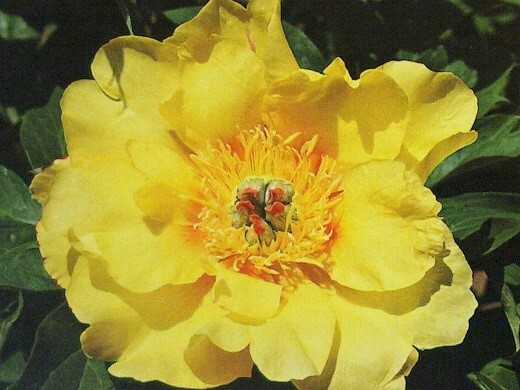 (breeder Don Hollingsworth) This variety has semi-double sulphur yellow, red flamed very large flowers , up to 20cm. Very fragrant and extremely floriferous. Looks great reaching out over the stones in the position of a prostate shrub. Late flowering variety. 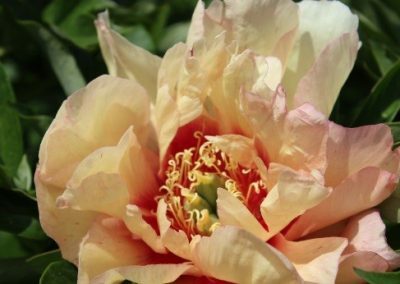 (breeder Roger Anderson) Semi-double to double flowers of an apricot and cream colour with brown-like centre. 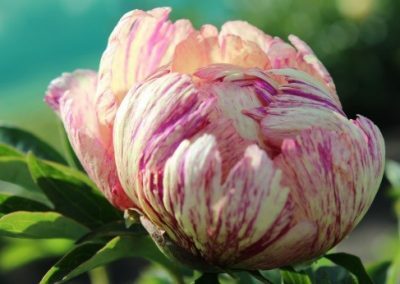 The margin of the petals presents fine rosy streaks and is slightly cut. At the opening the flower has the shape of a rose. 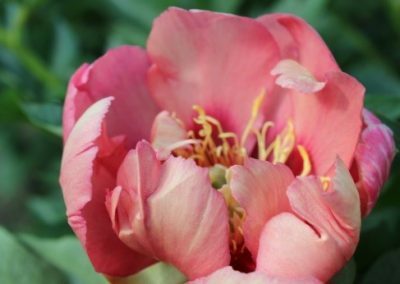 The plant remains in bloom for an extended period of time as the side buds are opened slowly in a very measured performance. Magnificent foliage. 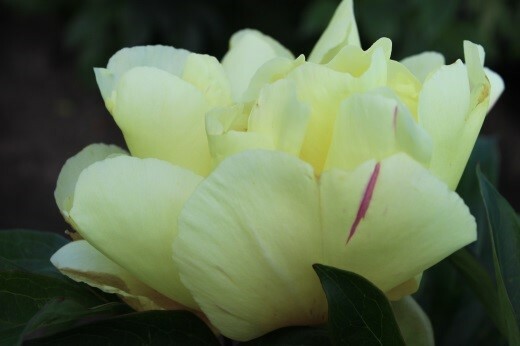 (breeder Roger Anderson) It is a semi-double to double, light beige in bud, yellow intersectional. 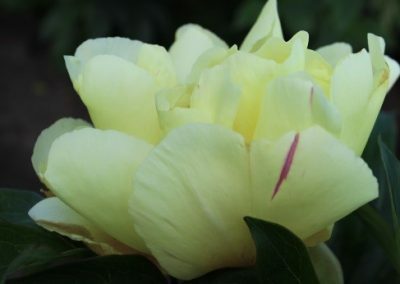 Some blooms remain light yellow while others become very brilliant in colour. It has long stems and good green foliage. Should make a good cut and drying flower. 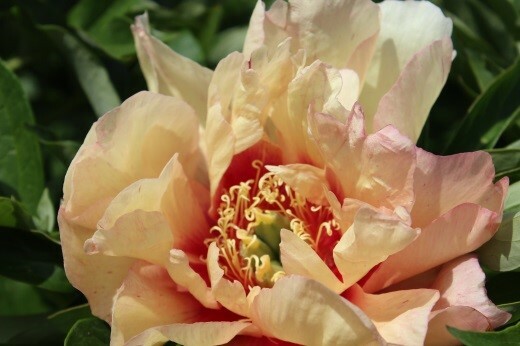 (breeder Roger Anderson) Large, semi-double blossoms. Copper-orange with a darker centre and occasionally yellow streaks. 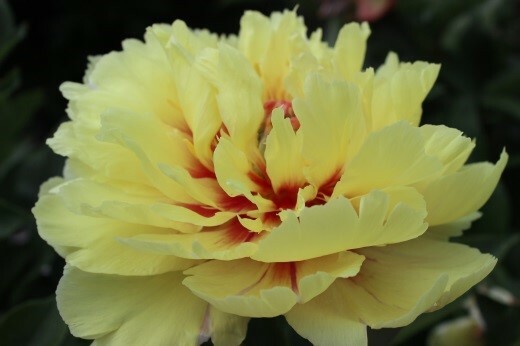 It ages to soft gold-yellow with deep burgundy flare in the centre. Both flower colours are present on the clump at once. Lush, toothed foliage. 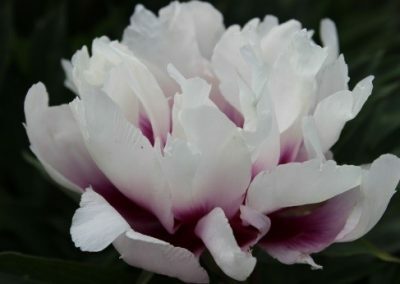 (breeder Roger Anderson) Large, white semi-double blooms with deep crimson flares are reminiscent of Paeonia rockii. The contrast between the dark crimson colour of the centre of this peony and the pure white petals is magnificent. Strong stems hold the bloom above the dark green foliage. Along with a pleasant fragrance, this is an appealing flower for the garden or the vase. Very reliable plant with lot of flowers year after year. (breeder Roger Anderson) A pretty and different intersectional. It wears small flowers of simple form. At the opening, flowers are of a yellow-orange colour with red-burgundy flares, contrasting with the golden stamens and red stigmas. 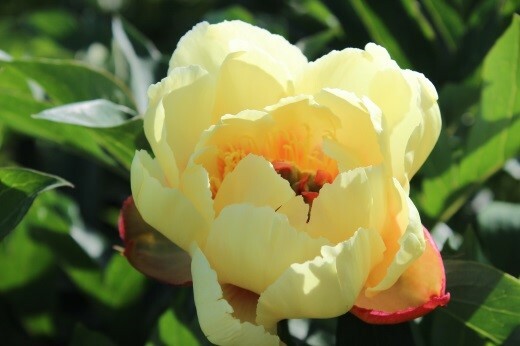 Flowers fade gently as they age towards a yellowish-creamy. Very floriferous. Many side buds. (breeder Laming) Its flower is dark purple, almost black, and has a bright yellow centre of stamens. The foliage is fantastic strong and dark green. It is a prolific and a great increaser. Very exclusive! 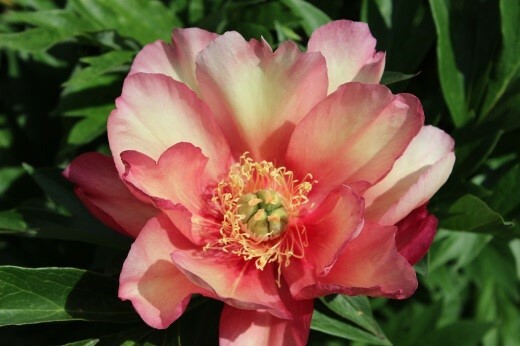 (breeder Roger Anderson) this is a fabulous intersectional hybrid. 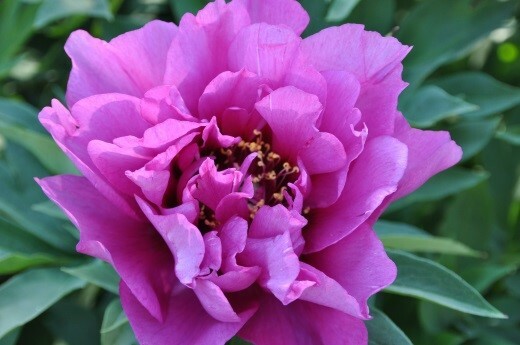 The flowers are lavender pink with darker flares at the base of the petals. 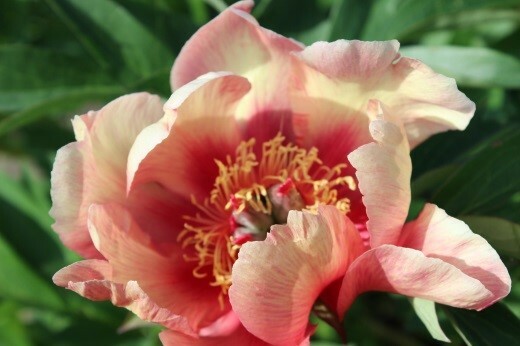 A magnificent variety with large semi-double to double flowers. The flowers are situated right on top of the dense foliage, creating a superb and compact bush. (breeder Don Hollingsworth) . Yellow petals with red highlights. Prominent centre of sheathed carpels and large size flowers. 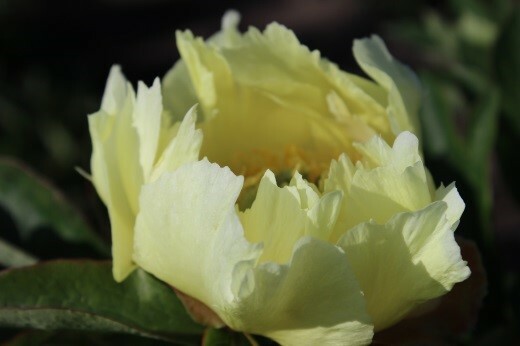 Very hardy, flowers produced regularly and uniformly year after year from below ground overwintering buds. Long blooming variety with 3 flowers per stem on average. 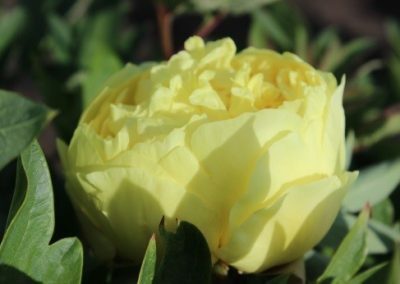 Vigorous grower; medium height with dark green shiny foliage, stiff stems and a widely spreading bush. 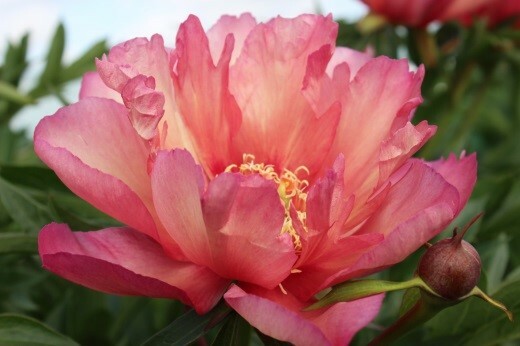 A well grown plant may form a 150cm wide mound at maturity, yielding 40-50 blossoms. A superb performer. An APS Gold Medal Winner. 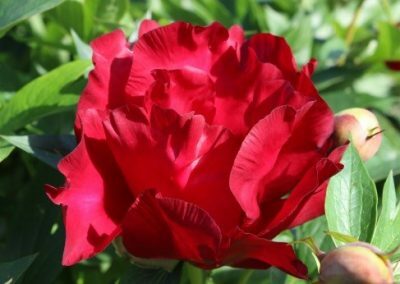 (breeder Roger Anderson) These semi-double to double blooms open red and fade to cream in the sun while the inner petals remain red. A chameleon. 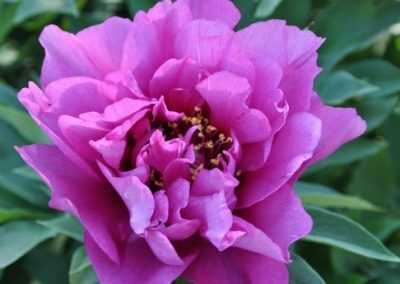 When the peony reaches its maturity and hold a multitude of flowers with different fading stages, it is a real traffic stopper. (breeder Roger Anderson) Single to semi-double blooms with open cherry red on to orange and later yellow as the flowers mature. The result is an attractive mix of variously coloured blooms on one plant and is exceptional when the peony reaches its maturity, because it holds about 40 flowers at different stages of colouration. 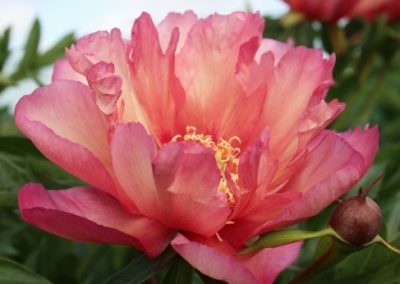 The flower is carried well above the foliage on firm stems. Very vigorous and excellent cut flower. 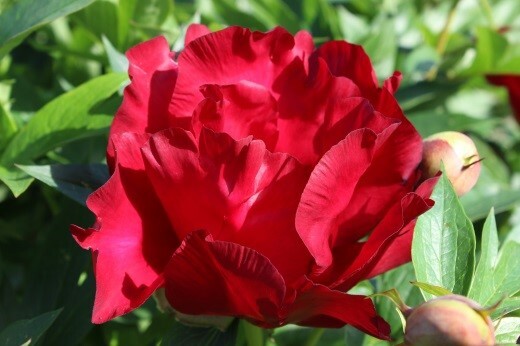 (breeder Seidl) A vigorous grower with unusual small blossoms and narrow petals of deepest red. 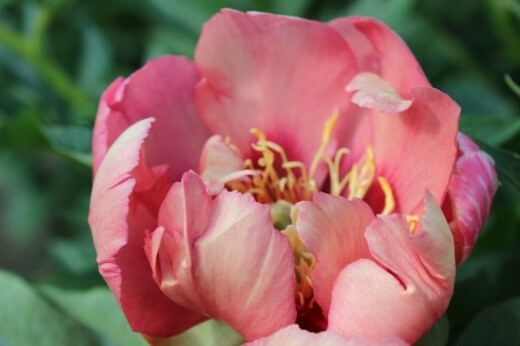 One row of intensive red, slender petals encloses a limited amount of stamens and very prominent greenish pistils. 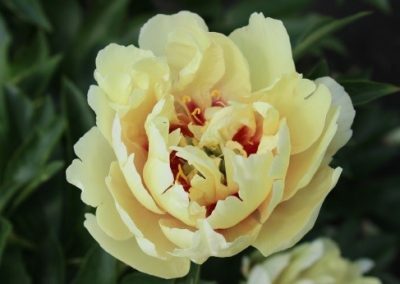 (breeder Roger Anderson) Large yellow semi-double flowers, similar in form to Bartzella but with a very special feature. 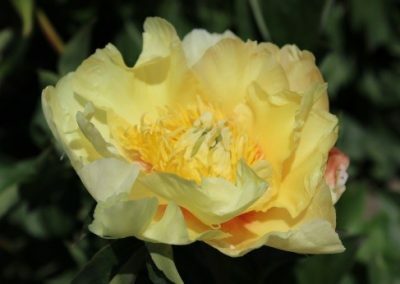 The flowers are generally yellow with pink streaks on some petals. Sometimes the plant generates flowers half yellow and half pink. Excellent for the garden or for cut. (breeder Roger Anderson) Semi-double to double yellow flowers with red candy stripes through the flower, giving these blooms the appearance of an all-day sucker. Spherical plant. Very floriferous. 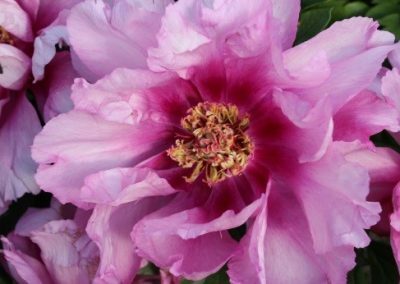 (breeder Roger Anderson) This colourful selection produces vivid fuchsia purple blossoms with a bit of darker purple and white striping on the petals, surrounding a large central boss of gold stamens. 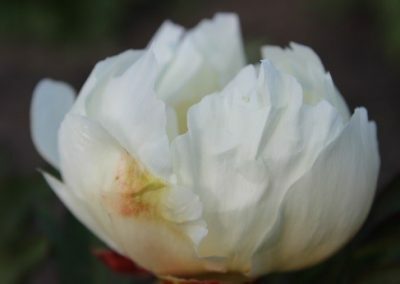 The single to semi-double, fragrant flowers are produced early in the season. This is an incredibly, floriferous selection, producing flowers all over the top and sides of the clump. (breeder Chris Laning) Brick-red single intersectional. 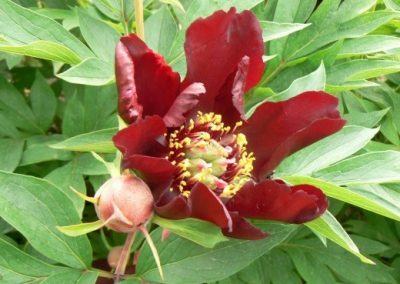 A fast increasing plant with delightful brick-red flowers. The colour intensifies as the flower matures. Prolific bloom, many 10cm, star like flowers cover the medium low, rounded bush. Unusual colour; very harmonious. Lovely landscape plant. 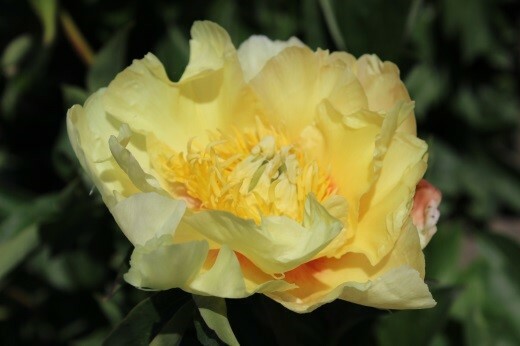 (breeder Roger Anderson) Pastel Splendor is a peony for the romantic garden. 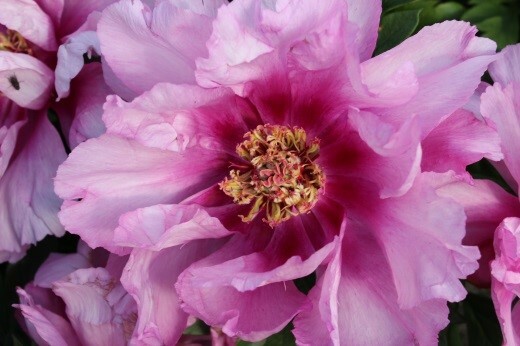 This hybrid has pale lavender petals shading to cream toward centre and dark purple flares. 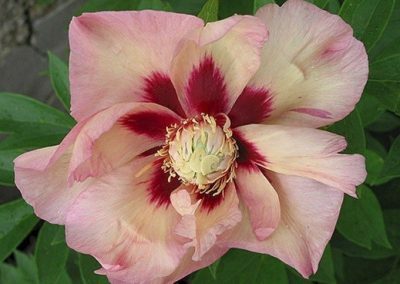 Two rows of five petals each reveal ten flares since there is, at most, only a thin stamen ring to obscure them. The stems are robust and carry the flowers well above foliage. Extremely vigorous. The original plant had 70 stems!! 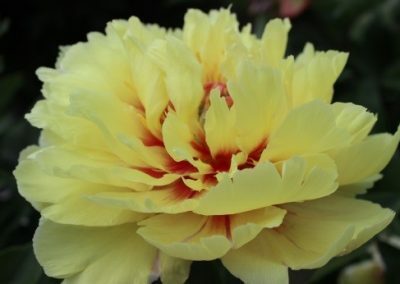 (breeder Don Hollingsworth) Semi-double, clear yellow and at the base of each petal is a large, dark red-purple flare. All this encircles a prominent centre of creamy white and green. 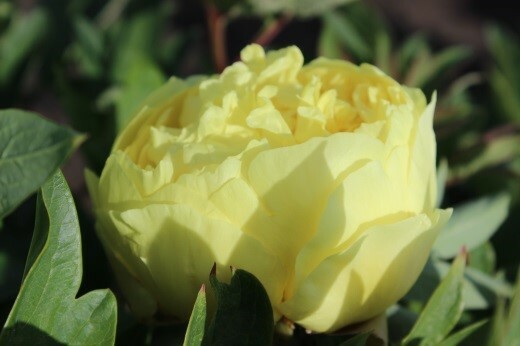 Forms a substantial upright bush with nicely noted light green leaves. Flowers are fragrant. 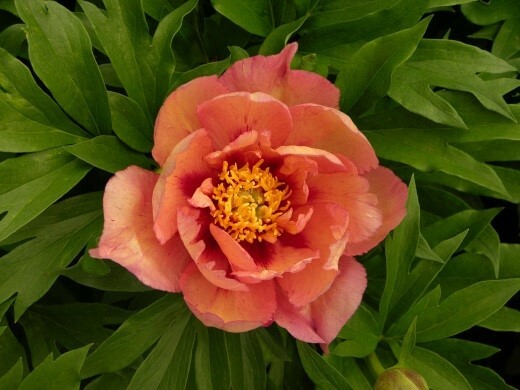 Excellent peony for the garden. Very reliable. (breeder Roger Anderson) One of the rare red coloured intersectional hybrids that deserve to be on the market. Its foliage did not get these ugly brown spots that appear on some others red intersectional’s. The colour is shiny red with a centre of golden stamens. Fragrant. (breeder Roger Anderson) Single to semi-double sulphur-yellow flowers with red-tipped carpels and red flares are held well above the dark green foliage. The plant has long stems, making for a good cut flower. It is the brightest of all yellows to date. 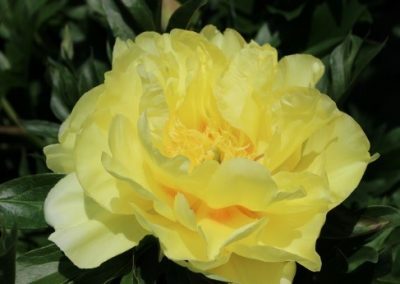 (breeder Seidl) Single light greenish-yellow composed of ten, wide overlapping flat petals in two rows, forming a full circle. Dull red flares are covered by a yellow stamen ring. 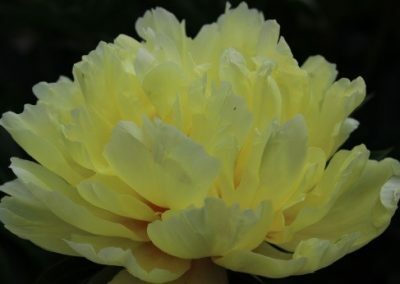 (breeder Seidl) It is a mutation of Itoh Paeonia Yellow Emperor. Semi-double white flowers with light purple flares at the base of the petals. 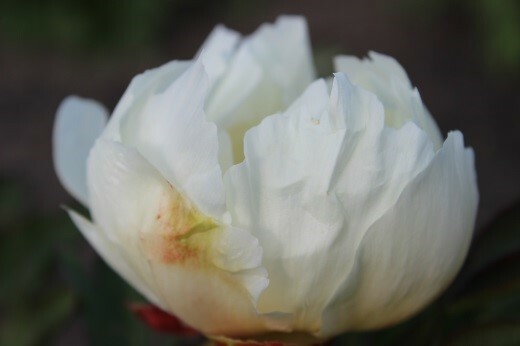 The stamens are creamy, the carpels light grey, tipped cream. Very exclusive! (breeder Itoh-Smirnov) Semi-double intersectional, yellow with red blotches in season. 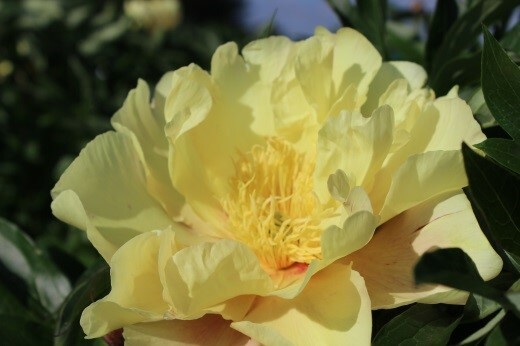 Yellow Crown has tree peony foliage but herbaceous plant habits and well-branched flower stems. 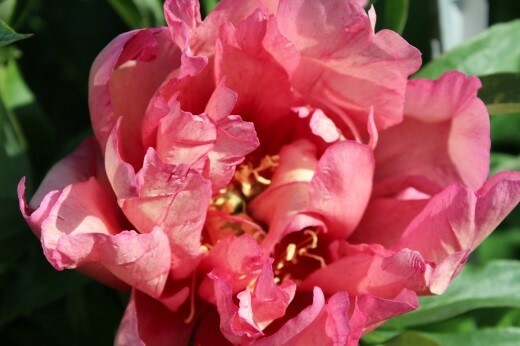 Mature plants can easily produce a mass of flowers in between fresh and green foliage. 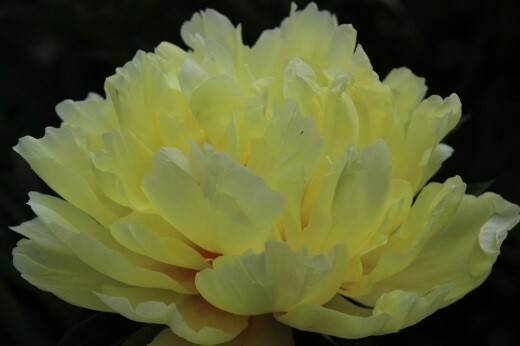 (breeder Roger Anderson ) Large semi-double to double yellow with lavender flares and petals like those of a water lily. Very floriferous, having a good strong colour. 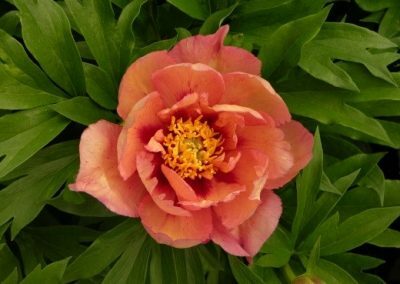 This intersectional peony does not need any recommendation.